News, Updates, Ban Disputes, Requests, Server Info, and much more information regarding Battlefield 4! This subforum is for our Administrators to post the screenshots of players in a "glitched" position in order for the public to understand what we mean by "glitching" in said area. Perform a Trace Route to help! ADK#5 remove flood zone map? 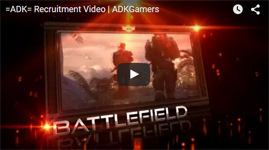 Why I love playing on the ADK Battlefield 4 Servers.